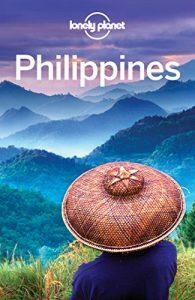 In the northbound of the province of Palawan is an island applaud for its beauty and splendor that attract ecophiles and dusty boots – Coron Island, the third largest island in the Calamian Group. 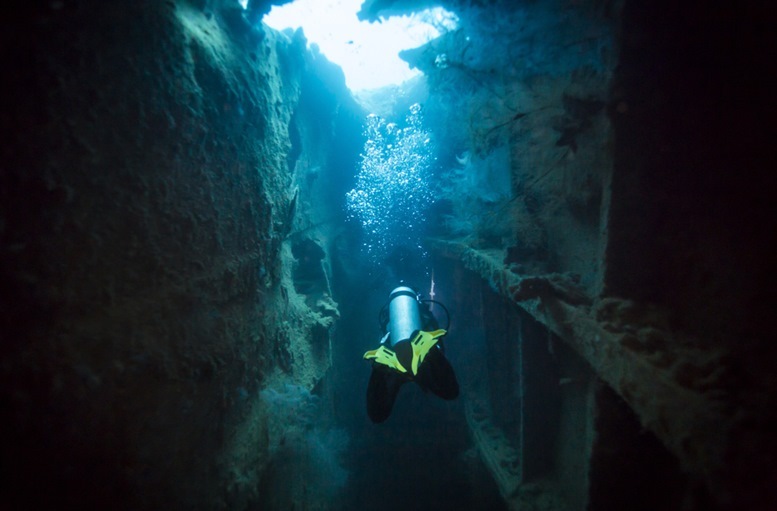 Listed in the 2007 Travel Forbes Magazine, Coron was among the best wreck diving sites [in the world]. 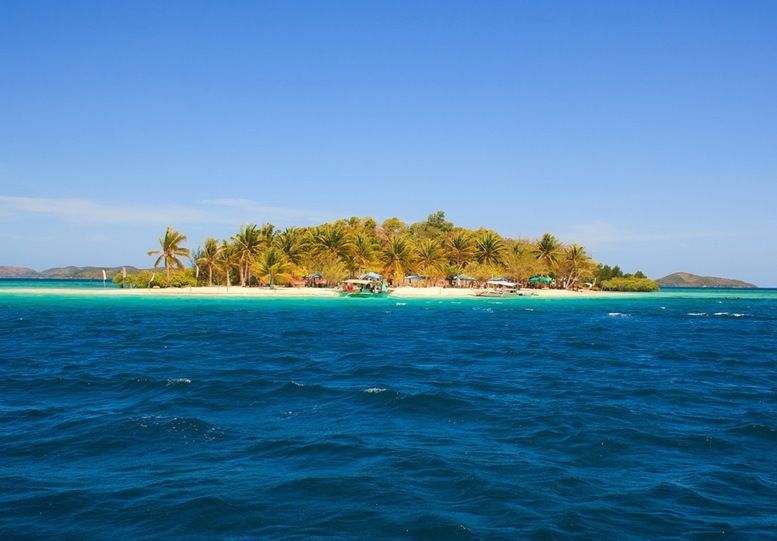 Hence, the island has magnetized several scuba divers and trippers. If you have not visited Coron yet or if you are planning to return, having an itinerary will keep your vacation busy and worthwhile. 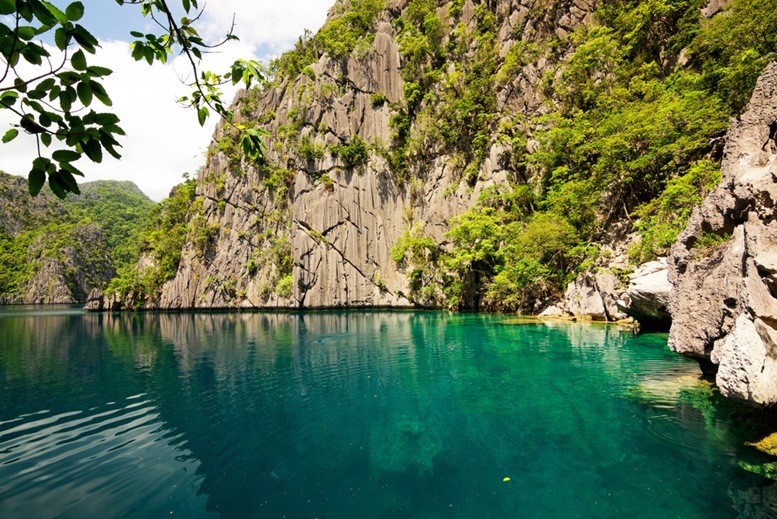 So, we have listed the 10 astounding things you should do in Coron. 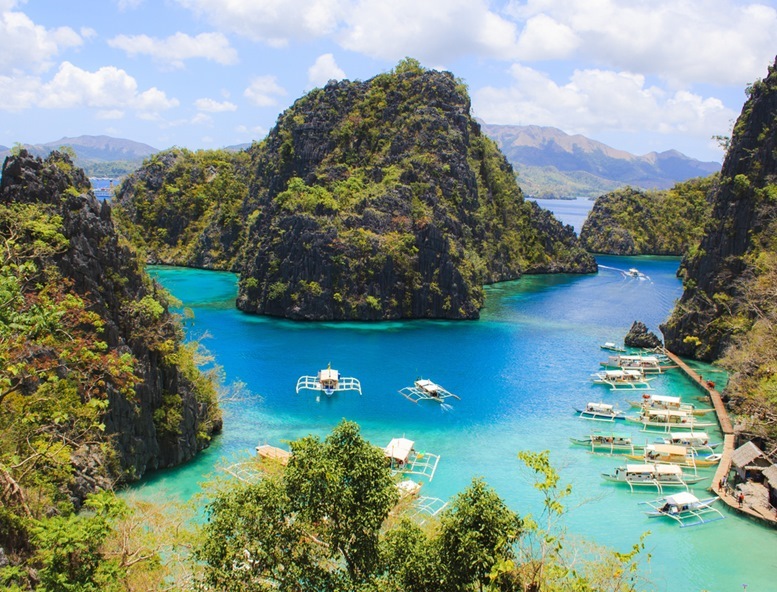 Palawan has always been so famous for having the best islands and pristine shallow water, and as you wander your soul in the beautiful Coron, your eyes will be mesmerized with the crisp water and tall, graying limestone clothed with luscious greeneries. 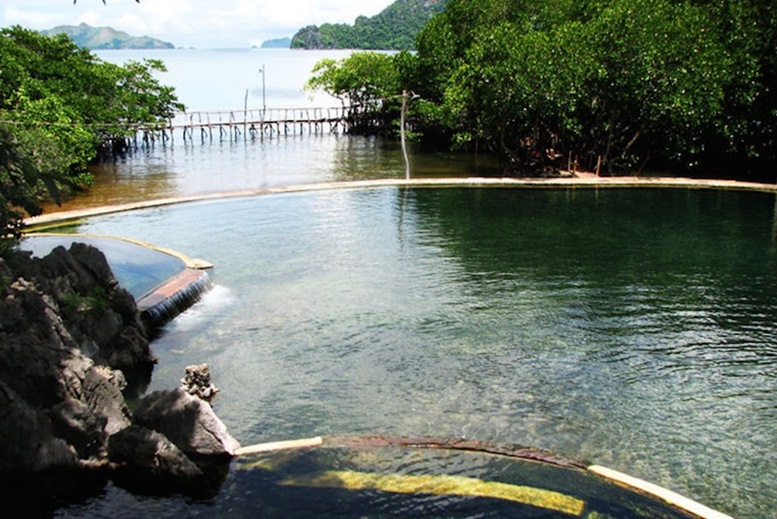 These islets overshadow the hidden gems of Coron – immaculate lagoons. 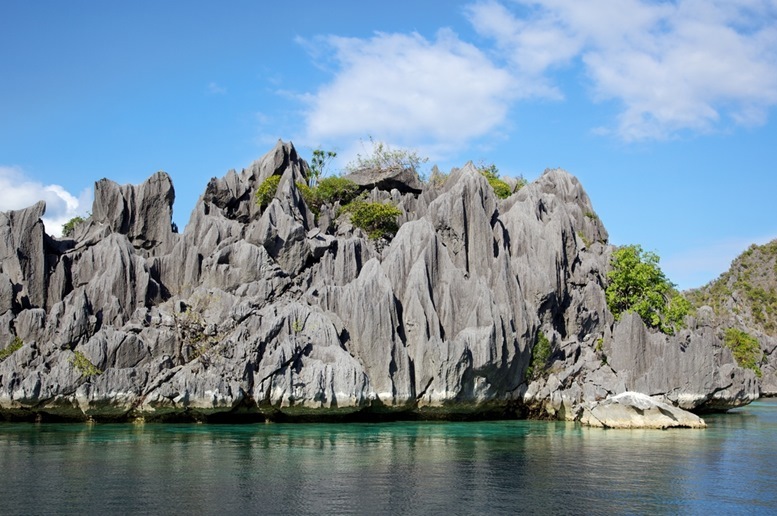 To visit these precious charms of Coron, you can join a group Island Hopping tour (it’s cheaper!). 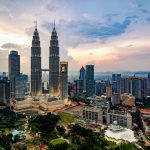 But, if you’d rather visit these sentiments alone or with some privacy, you can request it to travel operators so they can customize your desired tour. You might want to take a swim (and have a photograph) in the famous Kayangan Lake. 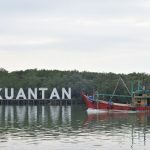 Not far from Kayangan Lake is the Barracuda Lake. 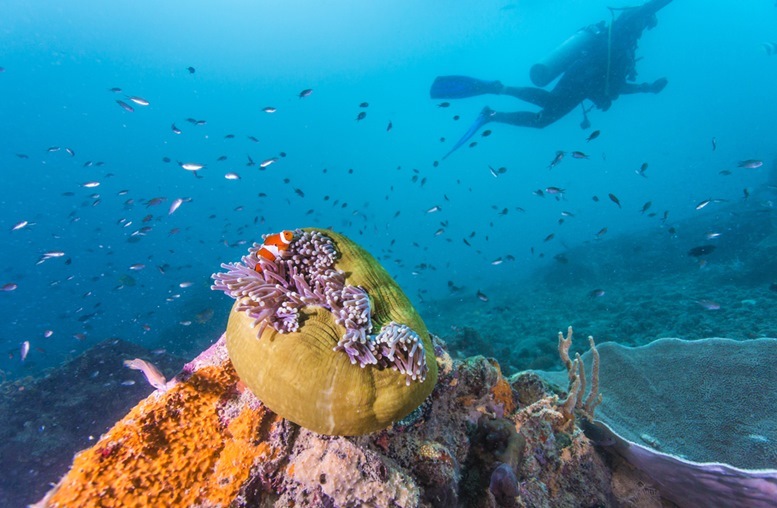 The serenity of the islets and the calmness of water blessed with gorgeous underwater monarchy will throttle your spirit. The Twin Lagoon is also not to be missed. A large rock covers the Twin Lagoon. To enter its fortress, you can swim underwater or climb to the limestone. Coron is not just a nirvana of spectacular lakes and turquoise lagoons, but it also brags sparkling white beaches. The frequented beaches in Coron includes the coastline of Banana Island, Coron Youth Club (CYC) Beach, and Malcapuya Beach. The CYC Beach is open for public and is gratis – you can enjoy this paradise for free! But expect it to be chock full every weekend. A perfect visit in CYC Beach would be on weekdays. 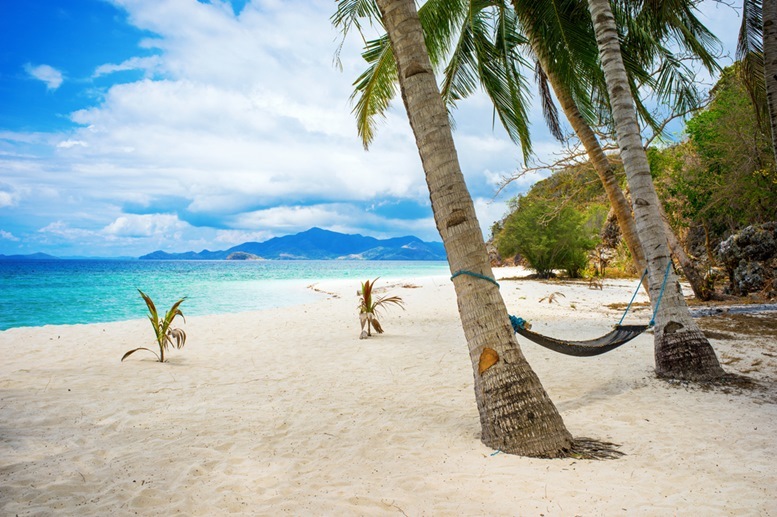 You can also go to exclusive (and luxurious) beaches in Coron such as the Club Paradise in Dimakyan Island (located in the northern part of Coron). 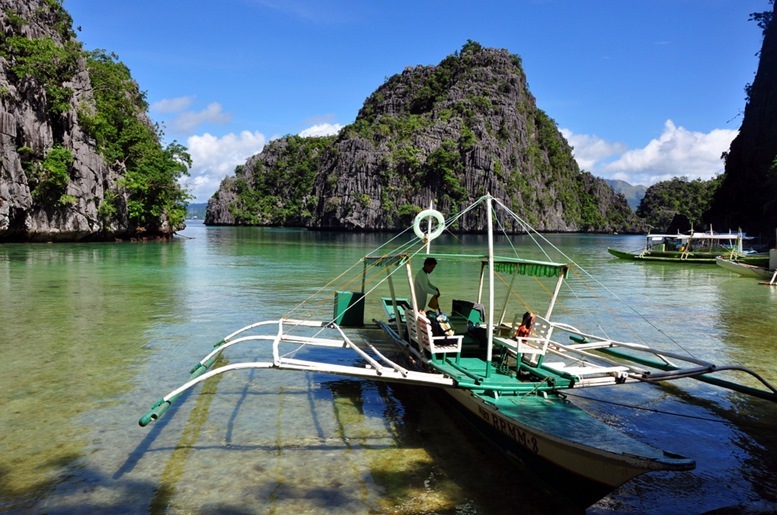 Aside from lakes, lagoons, and beaches, Coron is also famous for the Japanese shipwreck. 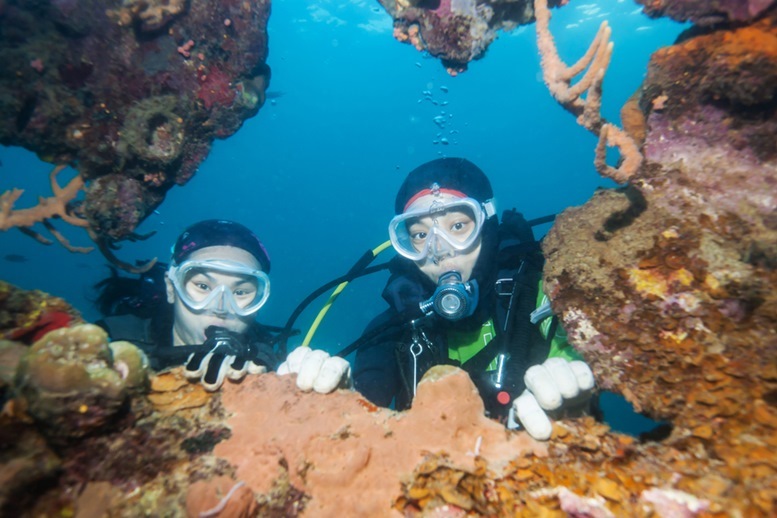 Travelers and the curious minds travel Coron to have an underwater look to the Japanese vessel wrecks. In the chaotic period of 1944, the year where rage and havoc surged between the Americans and Japanese, the US Navy dive-bombers blew the Japanese vessels that, by that time, anchored in Coron Bay. 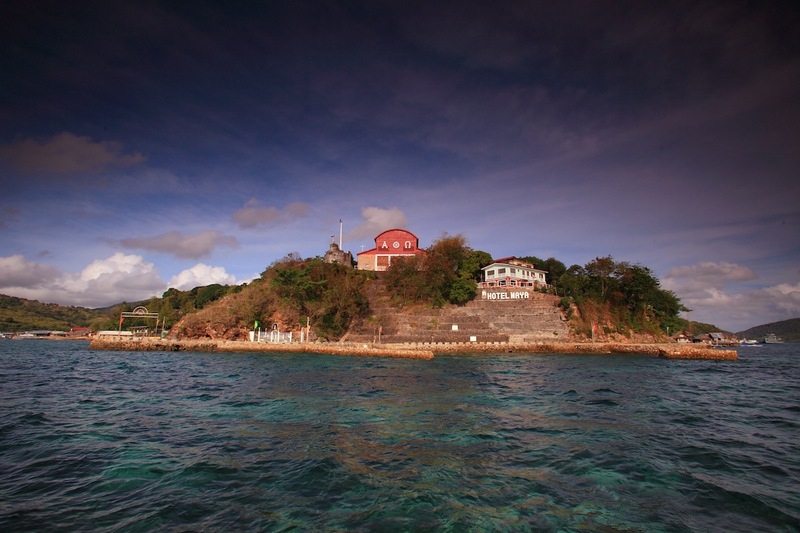 Little do they know, what they made created a silver lining – the shipwreck became Coron’s profit for tourism. 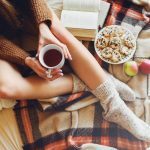 Let’s face it – not everybody is a beach buff, nor is always fond with beaches and tropical feels. 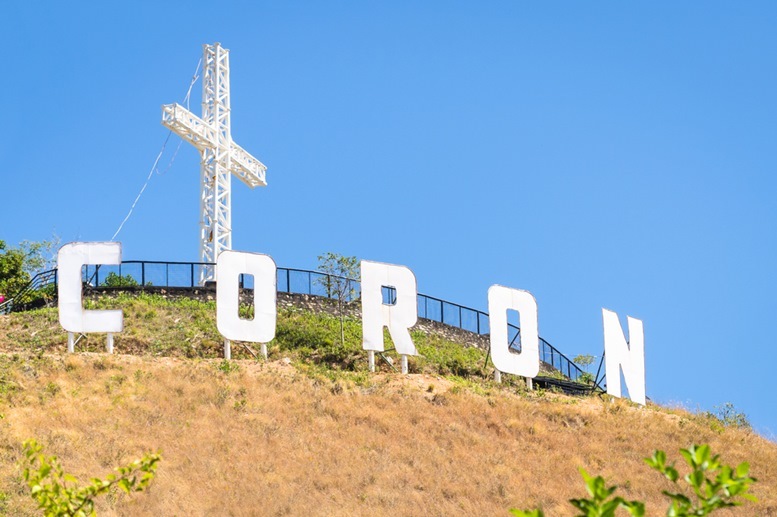 Coron understands all of its guests, so as a humble and hospitable host, Coron always makes sure it can give the best of whatever to every traveler. So, if you’re bored with white sands, sea shells, and rough waves, you can go to Maquinit Springs. Not far away in the city proper is a spring that dwells amidst the lush of trees and mangroves. 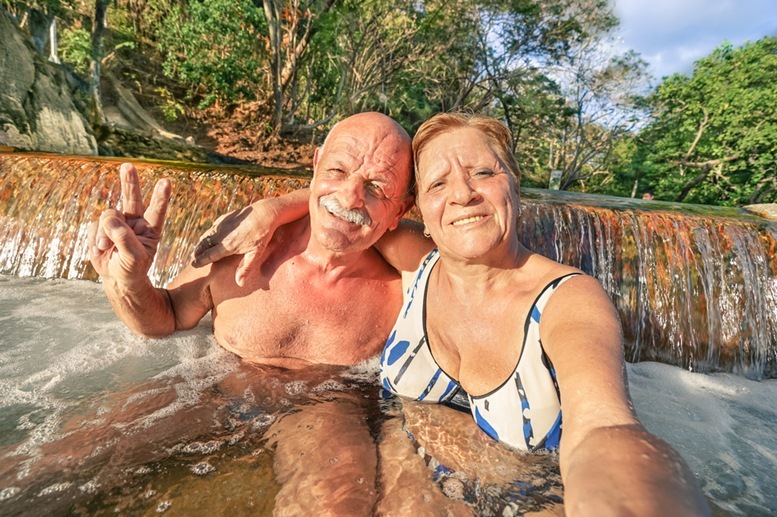 Maquinit Springs is visited and is famous for being one of the rarest saltwater hot spring. The saltwater heated by the underground volcano is amazingly therapeutic. A simple caveat when traveling Coron: always bring your snorkel. 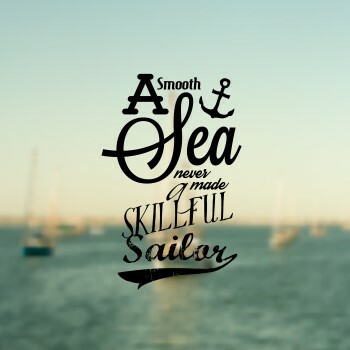 Skill in scuba diving is a huge plus. I think almost all lagoons and beaches in Coron has an incredible, splining underwater life. And I mean, overwhelming corals and beautiful fishes. 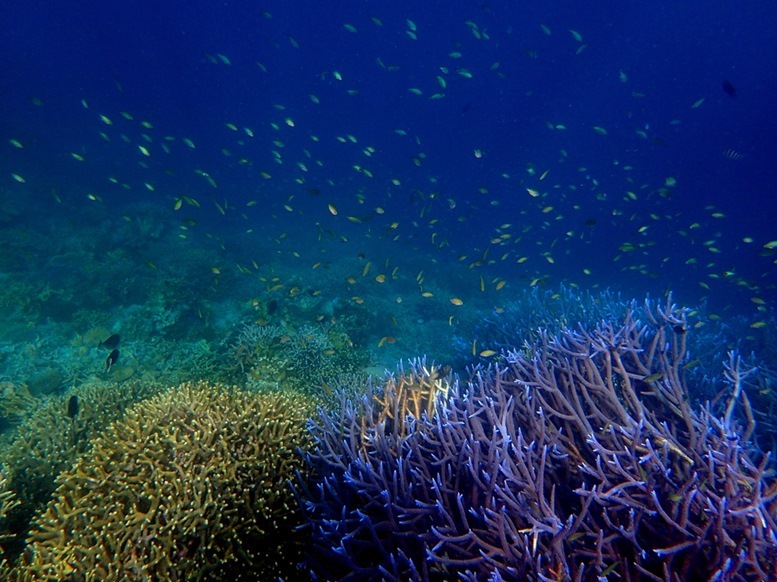 The Twin Peak, Marile Coral Garden, and Decalve Marine Park are just a few of the coral gardens in Coron. 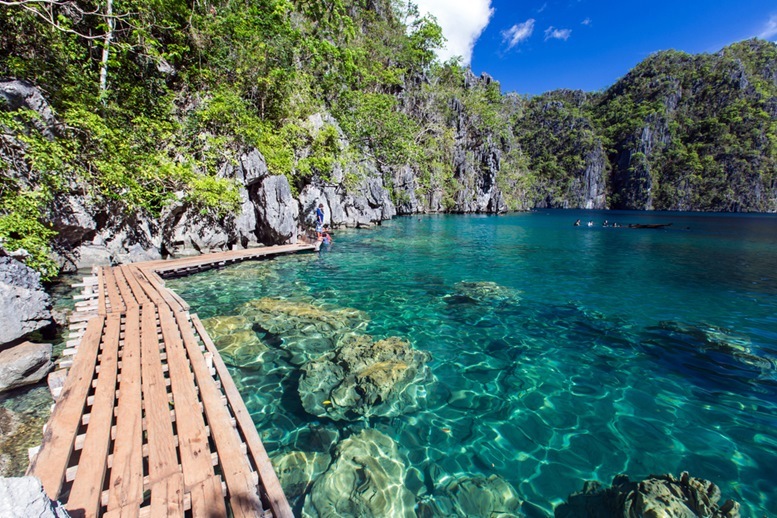 The clear and crisp water of Coron will give you an awe-inspiring view of the underwater life. But it gets more exciting when you dunk your head underwater. Challenge your soul and have your feet a little dare by going to the peak of Mt. Tapyas. But first, why hike this mountain? 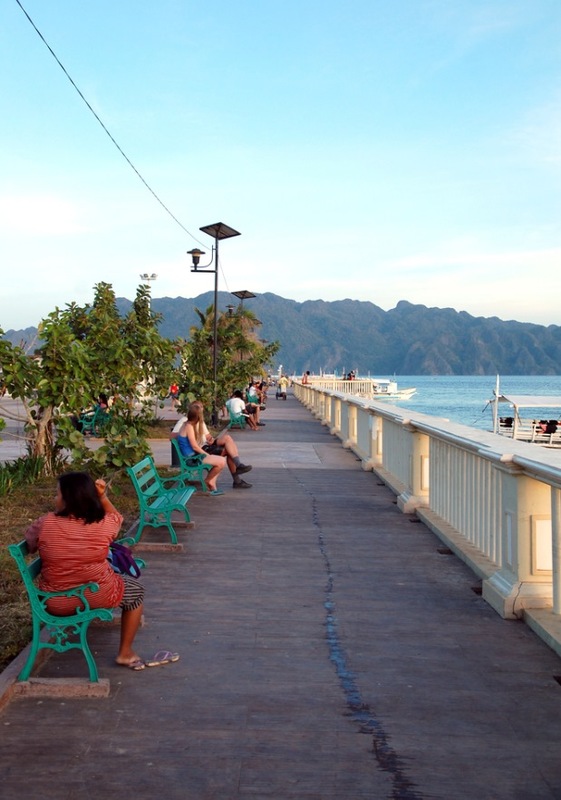 The peak will give you breathtaking, awe-inspiring, relaxing, and soothing panoramic view of Coron and other islets. But of course, just as how rain needs to happen before rainbow, metaphorically, you have to puff and huff yourself into the 718 steps to the peak. I swear, the beautiful view will replenish your tired soul because it will be worth it. Lualhati (luwalhati) is a Filipino word that means glory. Hence, Lualhati Park is a place of glory. Glory for what? For the vantage view of the sea, the relaxing horizon, and the colossal Mt. Tapyas. Aside from being a public park, it is also a docking point for sea vessels for going in and out of the island. Also, in the park is where you will find the wet and dry market. There is also a zip line that will cross you above water. The 300-meter zip line will make you feel carefree and thrilled at the same time. 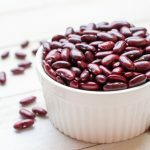 Travel in Coron (or even in other destinations in the Philippines) is a big mistake without tasting the local cuisines. Filipinos always have a dish to feed the hungry tummies. 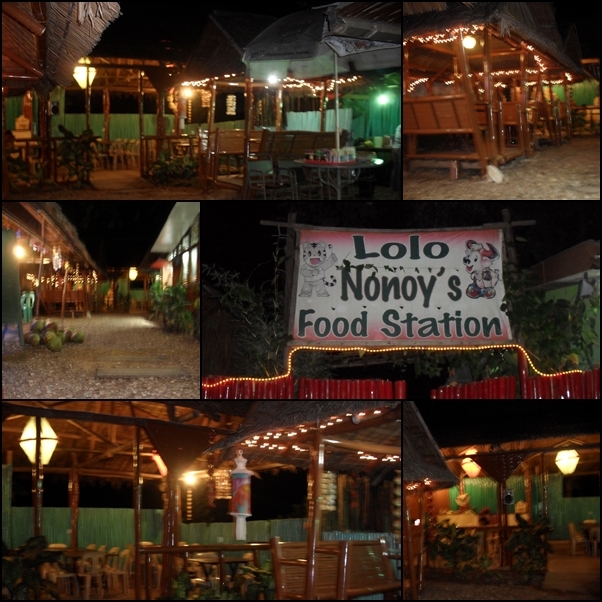 In Coron, one of the visited restaurants is the Lolo Nonoy’s Food that can be located along the National Road in Barangay Poblacion 3. The restaurant serves delicious Filipino comfort foods such as the Sinigang Tuna Belly (my personal fave), Buttered Chicken, Buttered Shrimp, Chicken Curry, along with other scrumptious meal. The restaurant also has a relaxing ambiance. The place showcases much of Filipino flavor – nipa hut (Kamalig), bamboo seats, and pebbly paths. 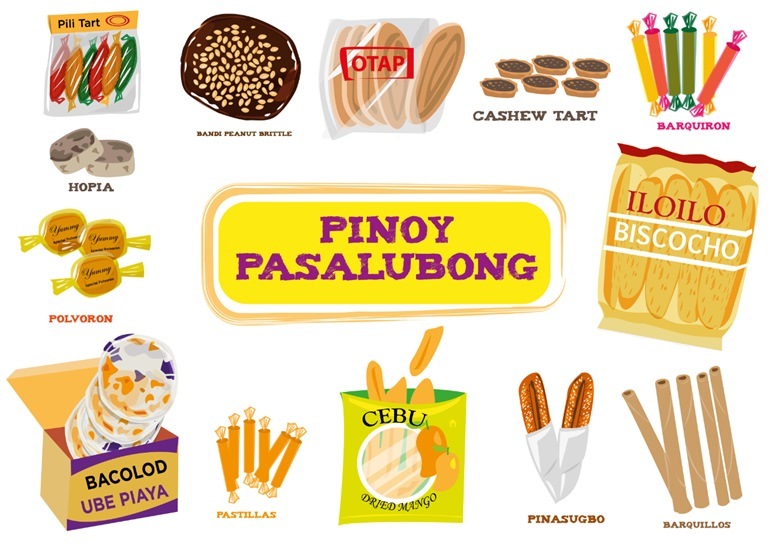 Filipino delicacies sold as gifts for loved ones and friends called Pasalubong. And of course, before leaving Coron, you must buy pasalubong (homecoming treat for your friends or fam who weren’t able to go with you). Buying a pasalubong has always been a part of the Filipino tradition. 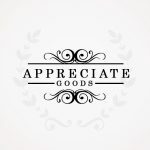 A pasalubong could be anything – food, souvenir items, t-shirts, a simple rock, or just anything. One of the specialties of Coron are the cashew nuts. In Busuanga (a few minutes away from Coron Island) is the L. Escarda’s Coron Harvest. They got the best cashew nuts in different variety. Keychains, mugs and other souvenir essentials are also available in the market and in souvenir shops. 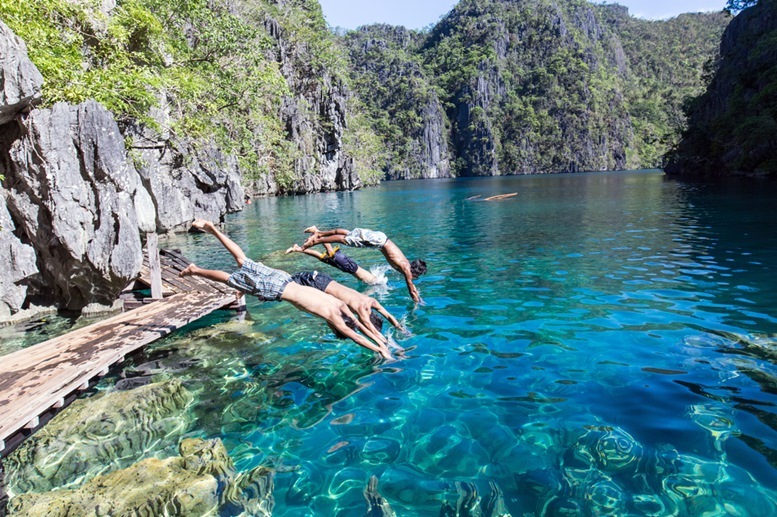 These are just 10 of the best things to do in Coron. Of course, there are a lot of stuff you can do on the island and in other surrounding islets. 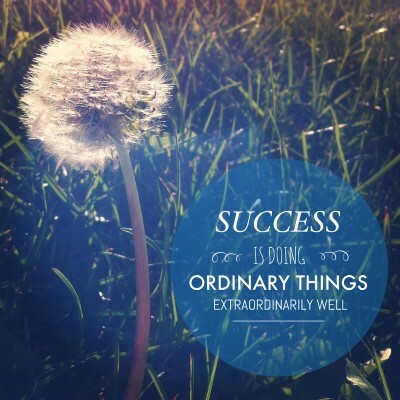 If you want a time for yourself to get engaged with nature and natural wonders, then go. OR you can also go to Coron with your peers and travel buddies, which of course, can make your Coron experience more unforgettable, more fun, and more special!